About three years ago, at the Charleston Conference, I was sitting at a vendor dinner eating a steak (as you do). It was delicious- thank you, Gale. An old timer, a librarian from Wyoming, was bemoaning the way Charleston had blown up. It has gotten bigger in recent years by all accounts. Charleston is my homebase conference, the one I feel I grew up at, as a collections librarian. Charleston is where I truly began to grasp what I did in the context of scholarly communications. It’s a great conference. The librarian was wistful and nostalgic for a conference I had never known. I was immediately sold. I got together a proposal, submitted it, and upon attending my first Acquisitions Institute, I fell deeply and irrevocably in love. It was all that had been promised, but what was more, there was excellent pinot noir. Taken at the Acquisitions Institute in 2015! Which is why I am now serving on the Planning Committee. Full disclosure, we’re looking for proposals right now. 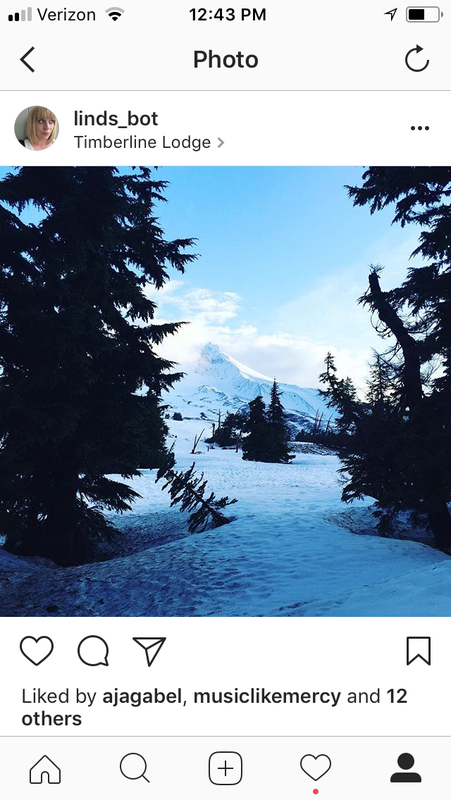 I invite you to submit one and come to the Timberline Lodge, a genuinely magical retreat-like location on Mount Hood, just an hour outside of Portland. The actual conference content is always excellent and the small size of the conference is an incredible benefit. Every presentation becomes a discussion. You will inevitably meet and interact with librarians and library folks whose articles you’ve cited, blogs you’ve forwarded, and tweets you’ve liked. It’s single track and the meal plan means you eat together too! It may not be for all attendees, but to me it is the most camp-like experience of the library conferences. And I love camp. Speakers have their dining costs waived! There’s an outdoor hot tub with an incredible view of Mount Hood. Everyone gathers at a Paul Bunyan themed bar to read passages from their favorite books! The food and drink are excellent. The Timberline itself is a stunning place. See you on the mountain? I’ll see you on the mountain.